The ACFE's Nominations Committee has selected six candidates to compete for two positions on the 2007-2008 Board of Regents. The Board sets standards to promote professionalism and ensure the reputation of the CFE credential. "Every year the committee receives many applications from highly skilled CFEs," said James D. Ratley, CFE, President of the ACFE and chairman of the ACFE Nominations Committee. "Trying to select so few from such a large field of well-qualified professionals is always difficult," Ratley said. Beginning Nov. 1 and ending Dec. 31, members will be able to vote online at www.ACFE.com for their selections to replace two retiring Board of Regents members. In February 2007, Corey Anne Bloom, CFE, CA, CAoIFA, and Tommy Seah, CFE, CMC, ASCA, ACIB, MIIA, will retire from the Board and will be replaced with newly elected Regents who will each serve two-year terms. Following are the six candidates for the two Board of Regents positions. Albert Doucet is the national fraud risk management coordinator for the Canadian Department of National Defence. Doucet's strength is his ability to gain consensus and formulate concrete action plans in complex and international arenas concerning all aspects of fraud. His goal is to use his international experience to support the influence and expansion of the ACFE in Asia/South Pacific, Central and South America, and Eastern Europe. Doucet has conducted numerous fraud examinations and inquiries (national and international), delivered fraud mitigation training programs, and conducted a major review of fraud control arrangements. In April 2002, Doucet conducted the first NATO/SFOR (Stabilisation Force) fraud conference in Sarajevo with legal and police representatives from various countries (United States, United Kingdom, Canada, Germany, France, Ireland, and Holland). The conference's goal was to formulate a comprehensive framework for dealing with cases of fraud in a complex international environment. As a special projects officer in the Inspector General's Office of the Australian Department of Defence, Doucet conducted a major review of the department's fraud control arrangements with broad recommendations being implemented in Computer Assisted Audit Tools and Techniques, enterprise computer systems, ethics, policy promulgation, reporting requirements, etc. He conducted fraud training for the department across Australia and fraud briefings for other government departments and senior officials from other countries. George P. Farragher, an executive director in Ernst & Young's global Fraud Investigation & Dispute Services practice, has more than 25 years of experience in forensic financial investigations, financial management, and audit. His expertise is domestic and international corruption and corporate investigations. Previously, Farragher was with the U.S. Internal Revenue Service and the Defense Contract Audit Agency of the Department of Defense. In the commercial sector, he successfully planned, developed, and implemented a special international audit group to address complex and sensitive business issues and disputes for a multi-national Fortune 100 corporation. Subsequently, numerous clients have engaged Farragher to investigate a multitude of civil and criminal matters ranging from forensic financial investigations to complex commercial litigation. 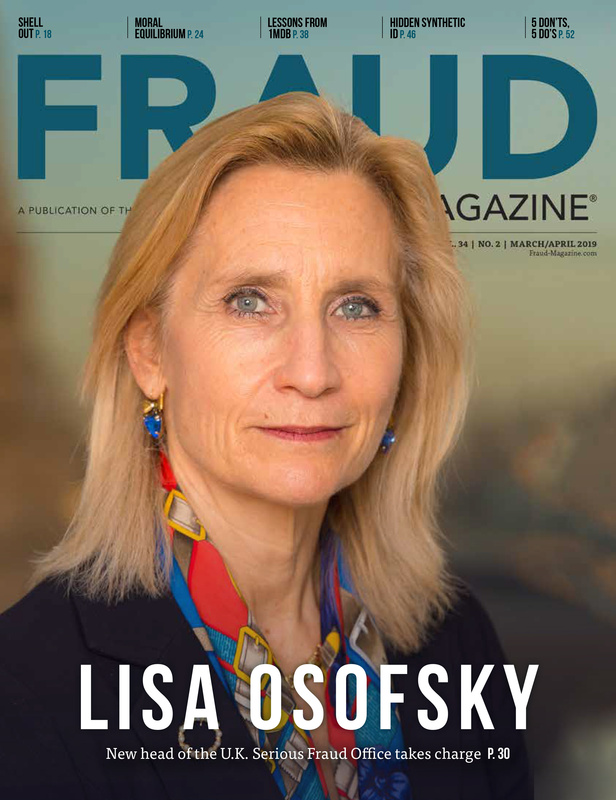 He has used the lessons learned from real-life cases to develop proactive measures for identifying indicators of fraud to assist clients with conducting fraud risk assessments and implementing fraud response programs. Farragher has been active in various professional organizations and is past president of the ACFE's Cleveland, Ohio, Chapter. He's a member of the American Management Association's Pan Asian Council. Farragher has written various articles on anti-fraud subjects and has taught for fraud awareness, detection, and investigation programs. In the ACFE's "Interviewing for Auditors" course, which I teach, participants are given an opportunity to identify their problem areas in the interview process and have a chance to focus on the knowledge they'd like to receive from the course. Below are submissions from two participants and my responses.